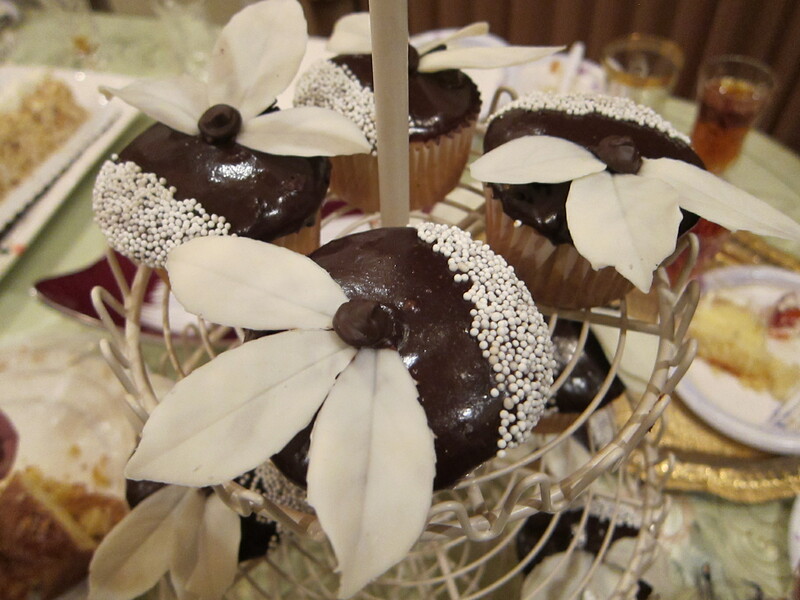 It’s a white cake cupcake, dipped in ganache, decorated with white non pareils and homemade white chocolate leaves. 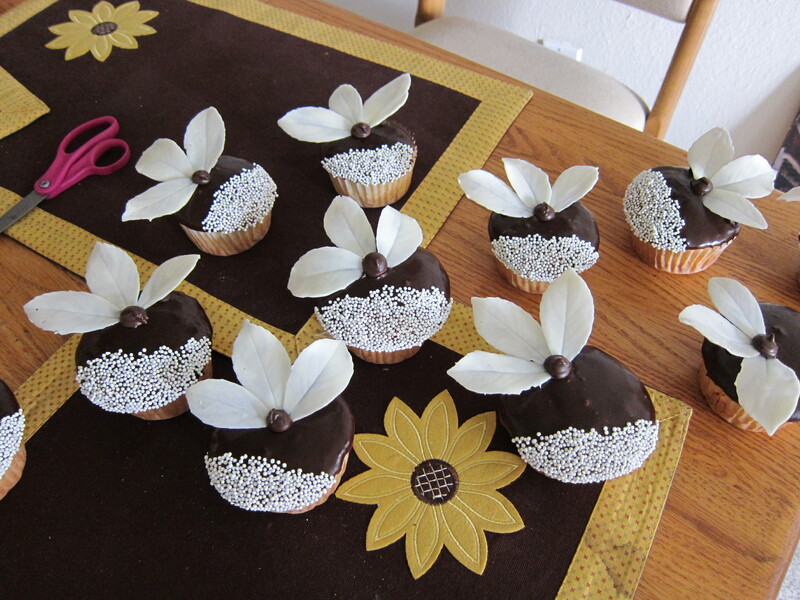 So, make your white cake cupcakes. 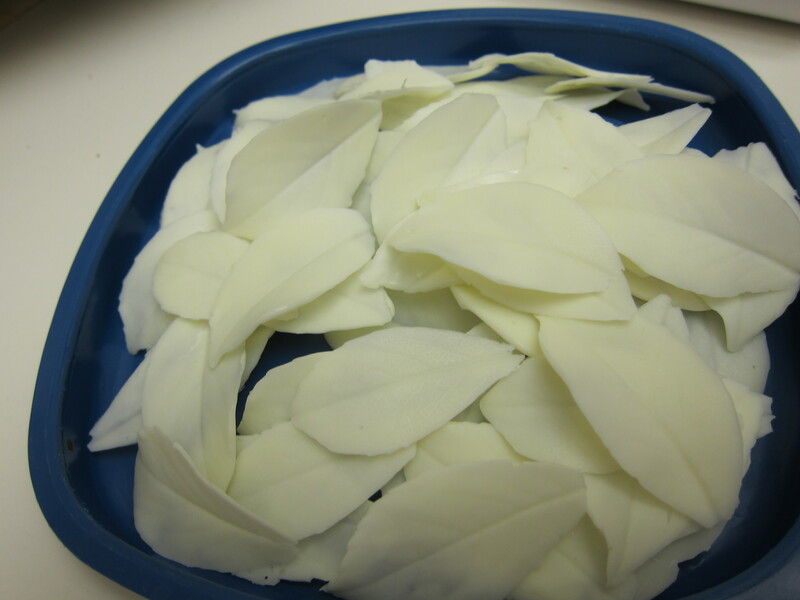 While you wait for your ganache to thicken, make your white chocolate leaves. Go outside and pick a few leaves you think are pretty. Melt white chocolate. 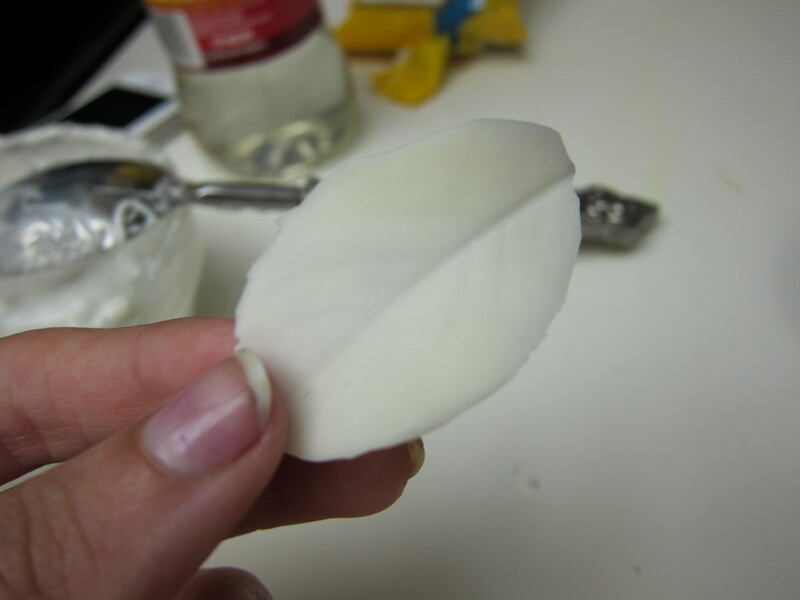 dip the bottom side of the leaf in the chocolate. 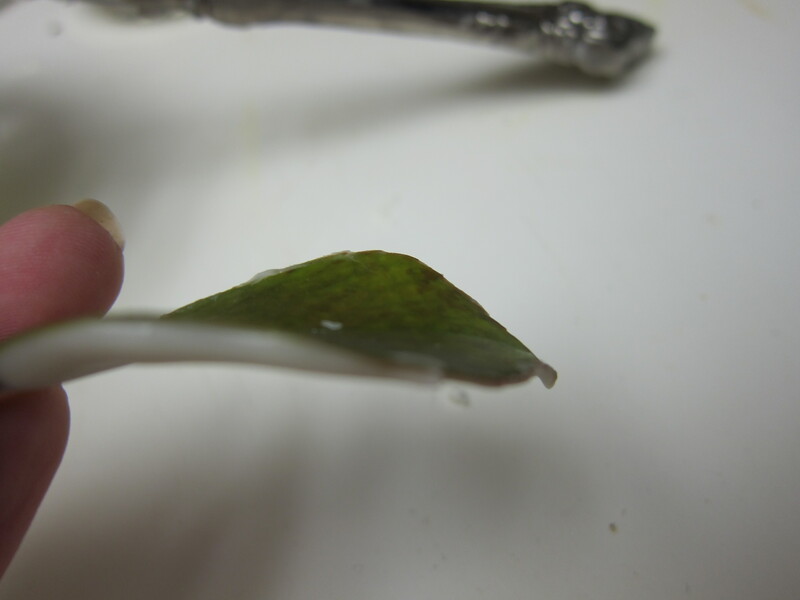 Place the leaf in the freezer for a minute or two. 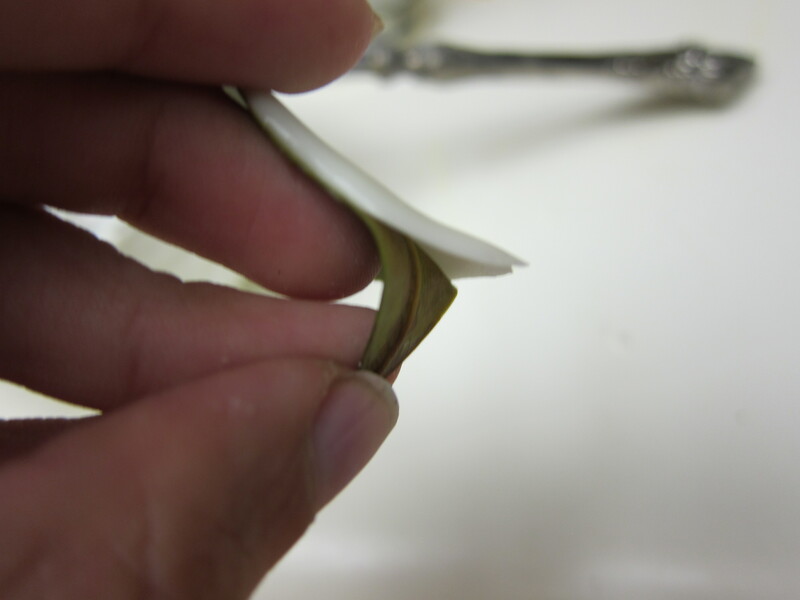 Then peel the leaf off. 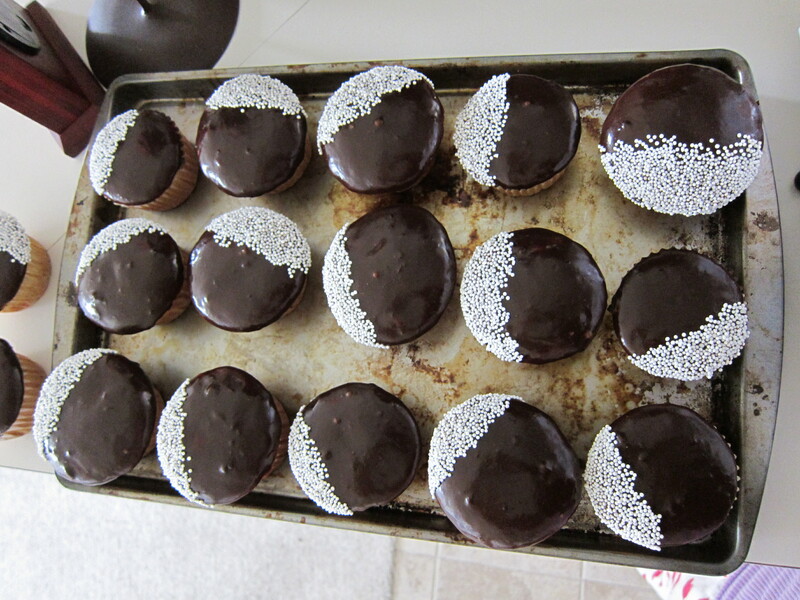 Dip the cupcakes in ganache and then dip half in white non pareils. 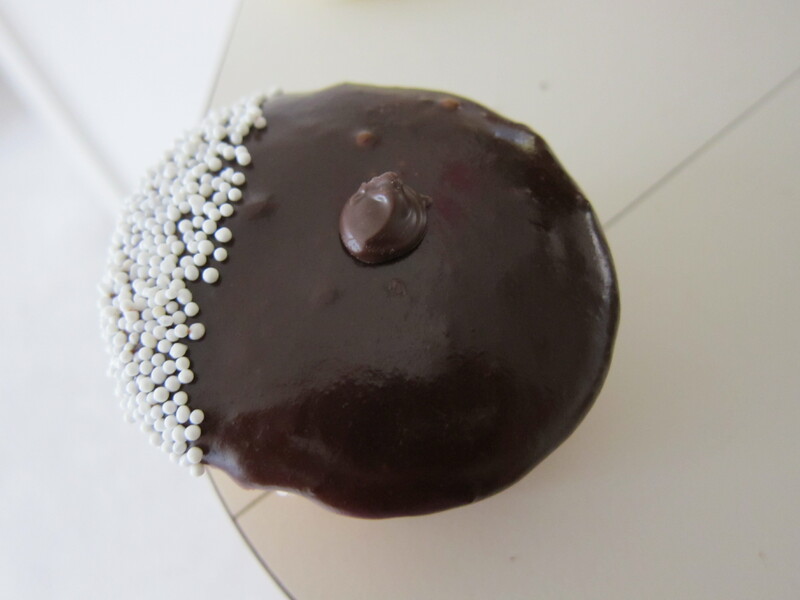 I made round chocolate dots with chocolate candy melts, but you can use large chocolate chips if you’d like. 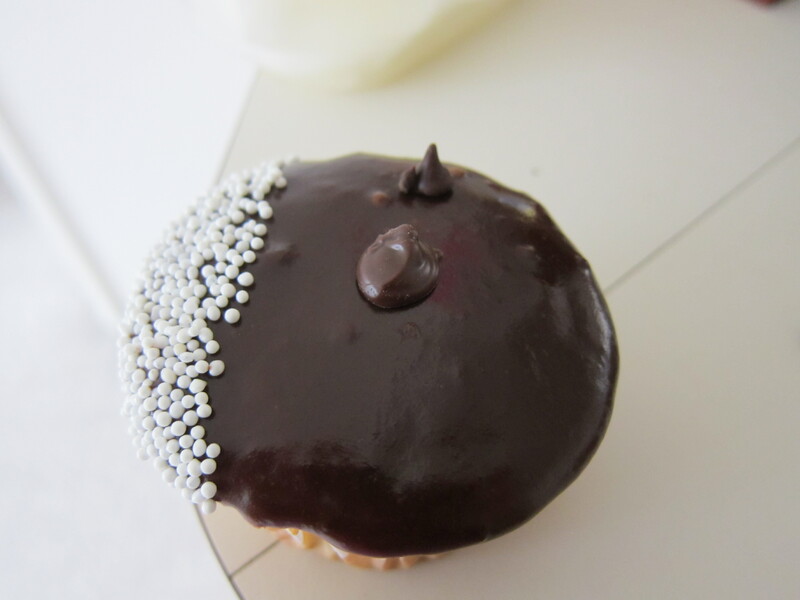 Place one in the center of the cupcake. Then place a mini chocolate chip off to it’s side. 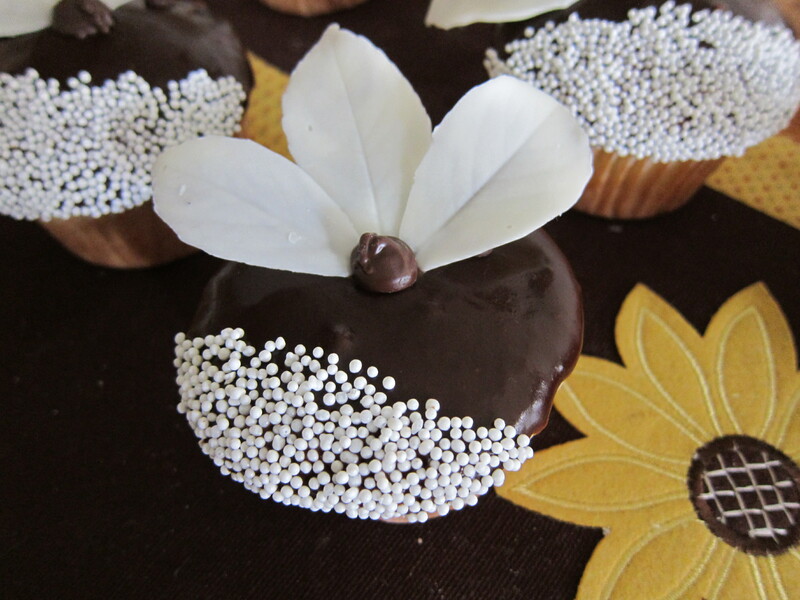 Place a leaf on the mini chocolate and dig the end of it under the chocolate round in the middle. Place another mini chocolate chip to the side. 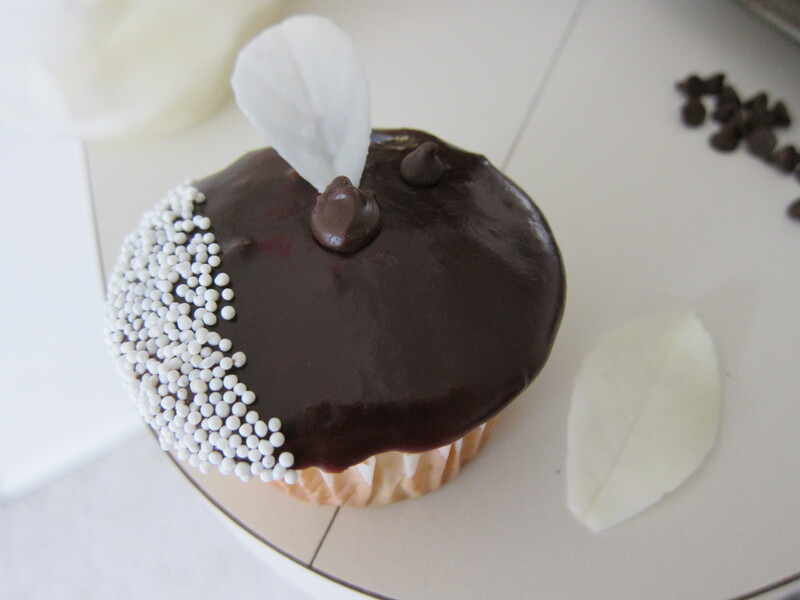 Place another leaf on the cupcake. 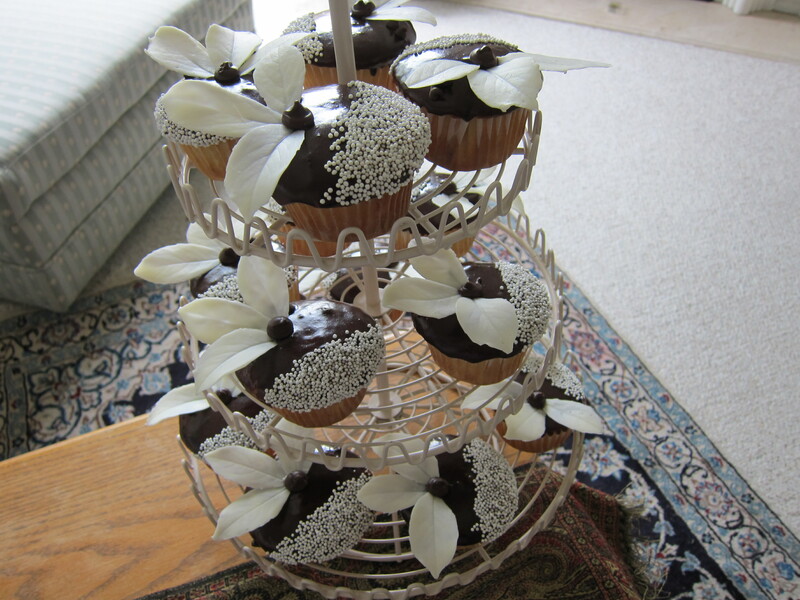 I have this really pretty cupcake tier that my beautiful roommate bought me. It was perfect for the party. 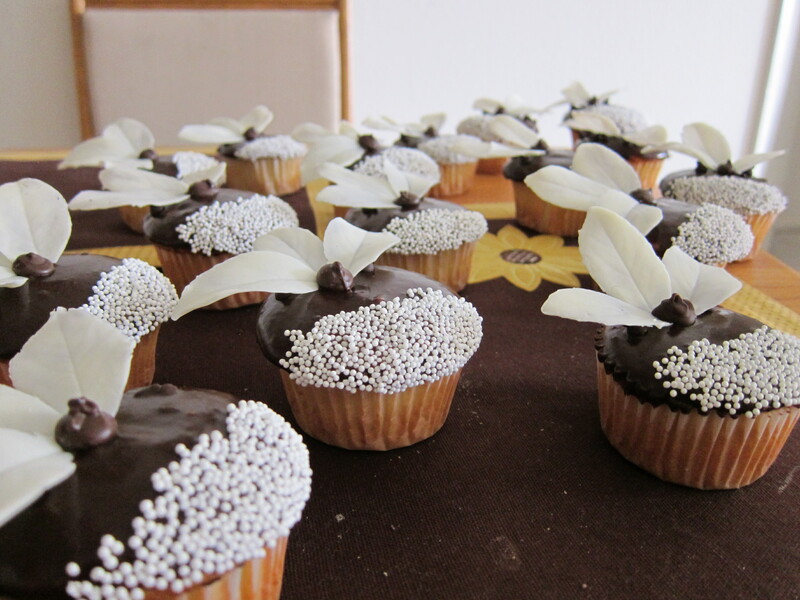 Everyone really liked them and they tasted light and yummy! Preheat oven to 350 degrees. 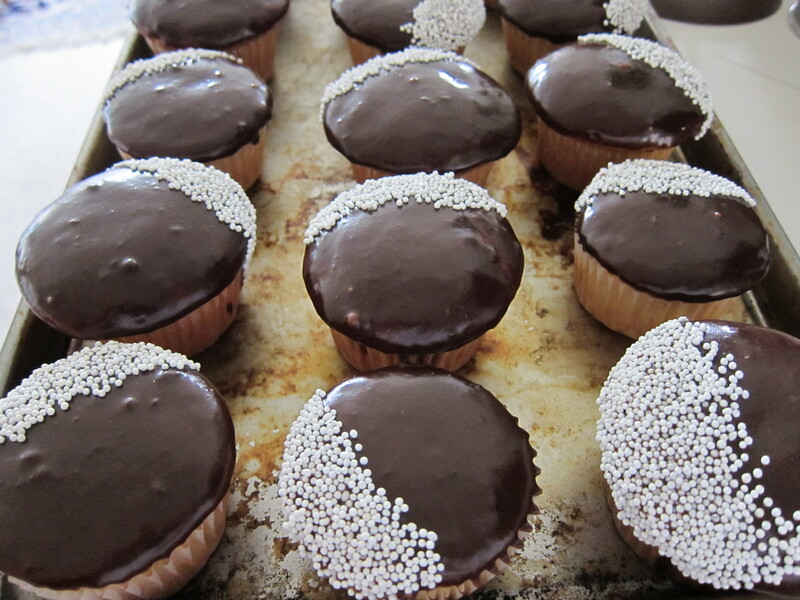 Line cupcake or muffin tins with papers; set aside. Into a medium bowl, sift together cake flour, baking powder, and salt. Combine milk and vanilla in a glass measuring cup. Pour batter into prepared tins, filling cups to about 1/2 inch from the tops. 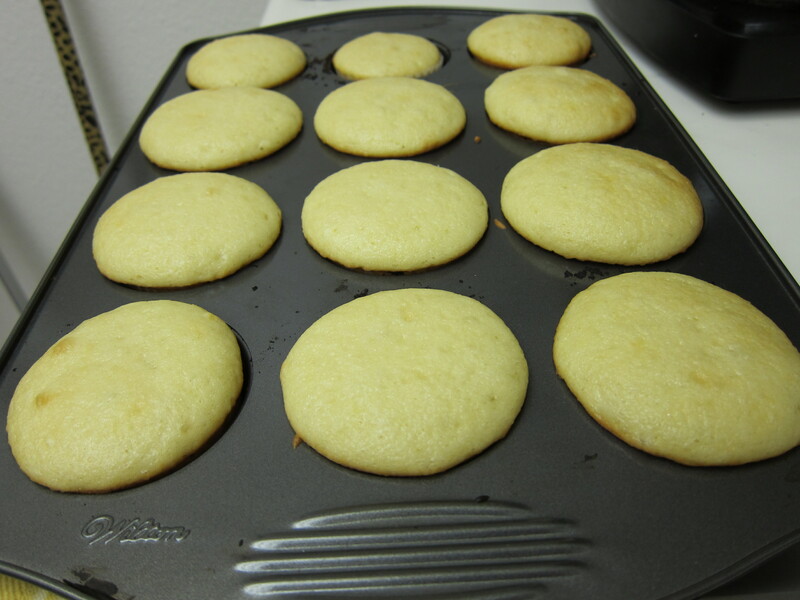 Bake until a cake tester inserted near the centers comes out clean and the tops spring back when pressed lightly in the center, 18 to 20 minutes. 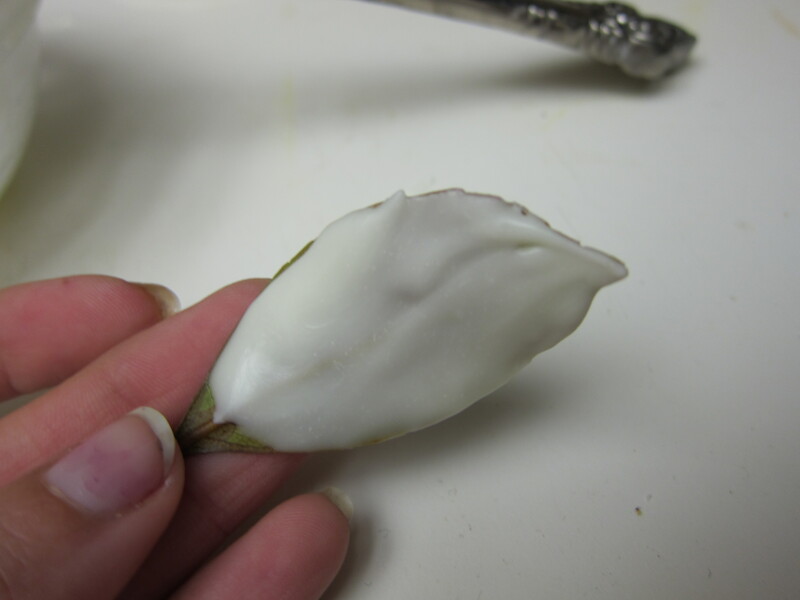 Remove from oven; let cool completely before icing or storing. Bring the cream just to a boil, stirring occasionally, in a small saucepan over medium heat; remove from heat. 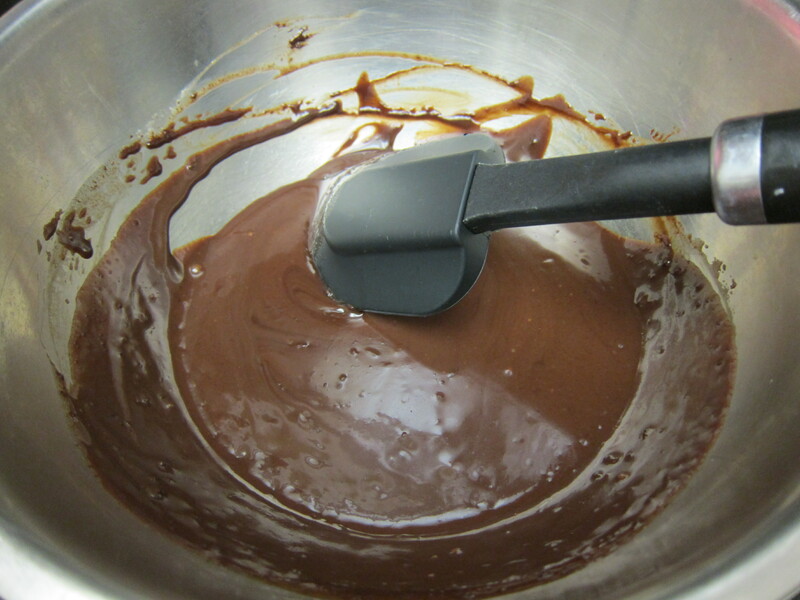 Put the chocolate in a medium heatproof bowl, and pour the cream on top; let stand for 5 minutes. 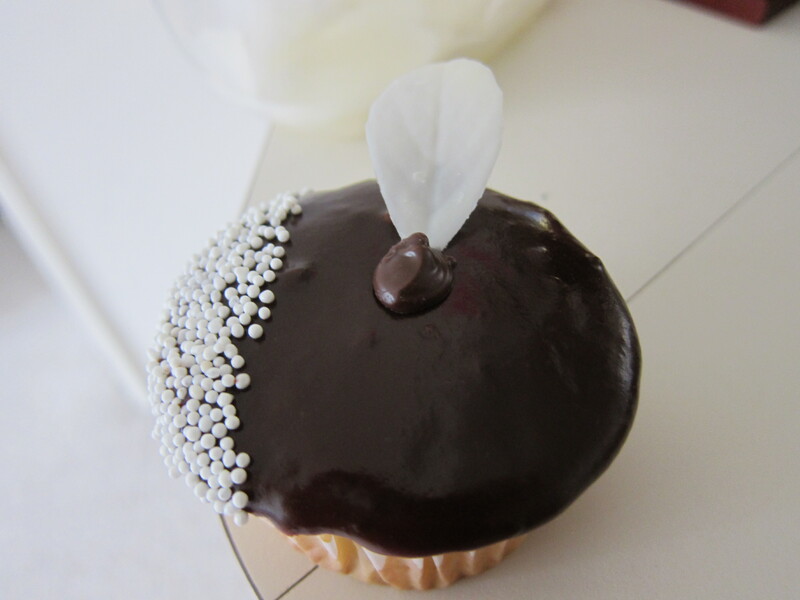 Gently stir until the ganache is smooth and glossy. Refrigerate the ganache, stirring occasionally, until slightly cooled and thickened, about 10 minutes (do not let it harden). Happy Birthday Farzin Joon! I had such a great time at your party! 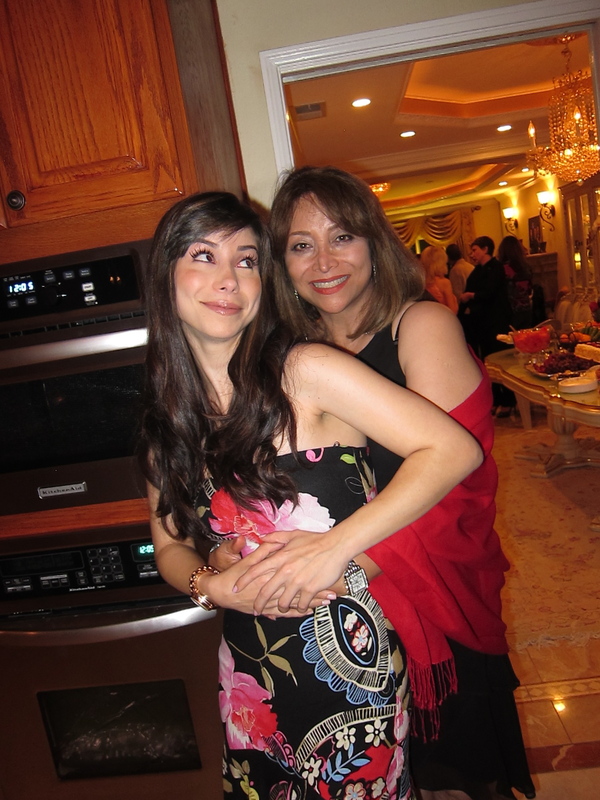 Here are some fun photos from the evening. Here we have Sheva’s mom when we first surprised her! 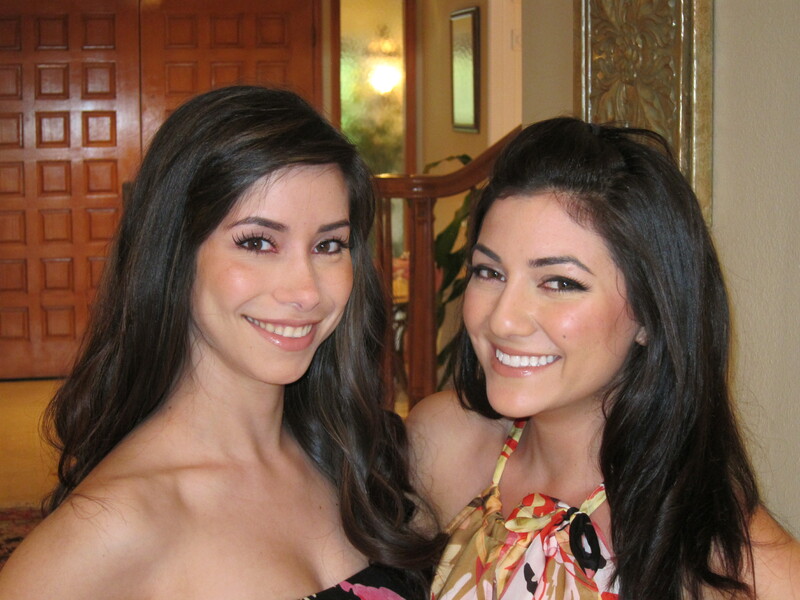 Here’s me and my roommate. She’s so pretty. 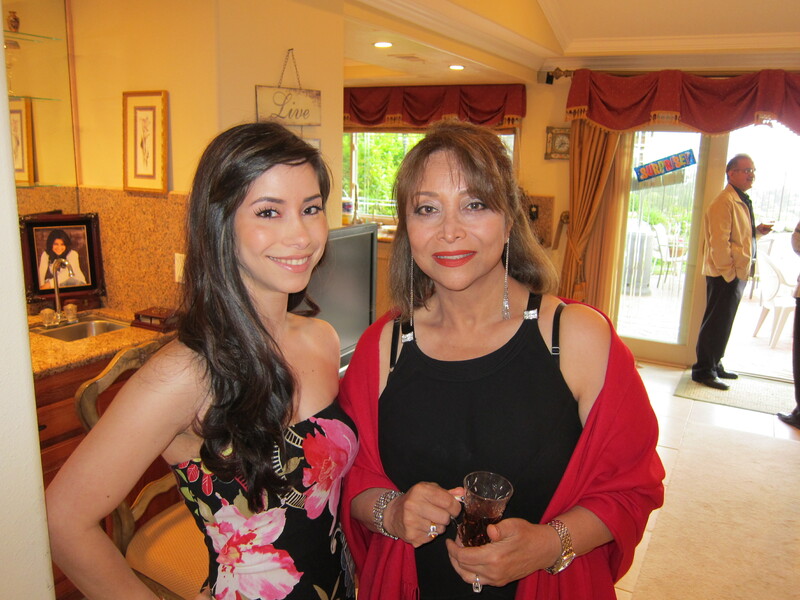 Me and my pretty mom! 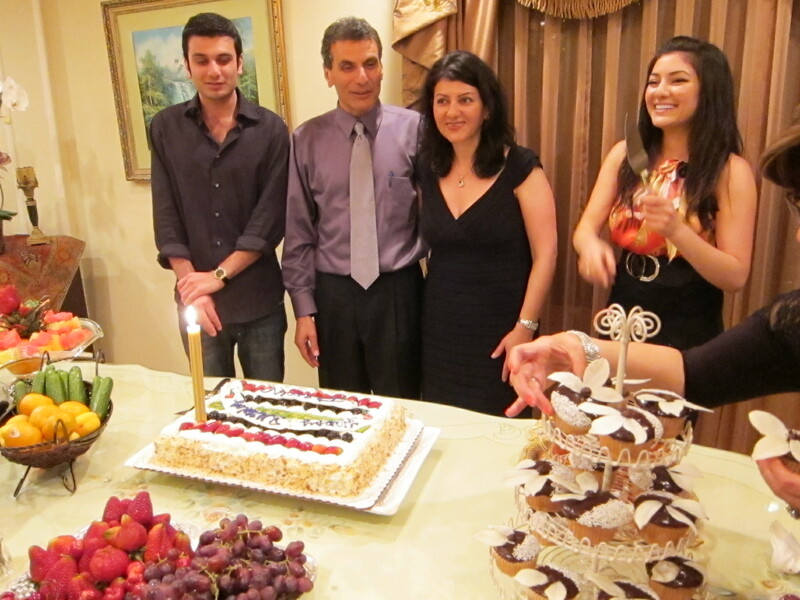 The family and my cupcakes on the side!!! 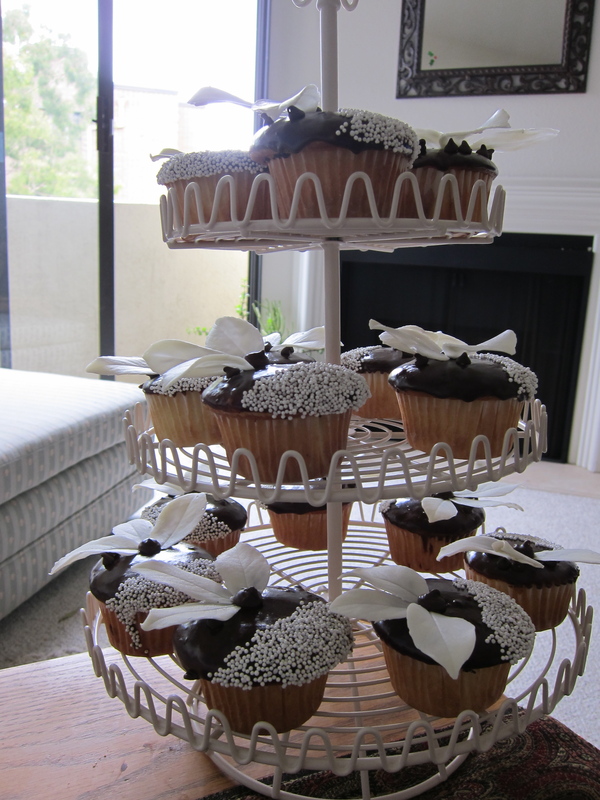 One last shot of my cupcakes before they got eaten! 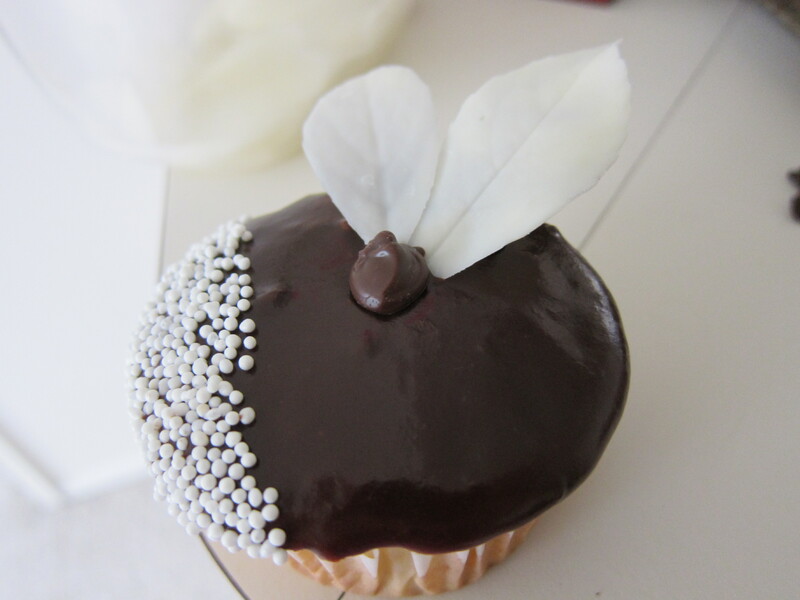 This entry was posted in Cupcakes, Just me. Bookmark the permalink.